Transitioning from the PlayStation 3 to the PlayStation 4 version of SingStar, I noticed a significant amount of delay from those singing to what is actually output via the connected home theater equipment. This PS4 Setup consists of a Panasonic St50 plasma screen TV connected to a Denon 7.1 AVR using official SingStar usb microphones. The same setup with the PS3 version of SingStar produced no noticeable delay – well not this significant and thus I was intrigued enough to find a possible answer as to why this was happening. The current version of SingStar has the ability to measure latency. You are instructed to hold the main microphone 10 centimeters away from the right speaker as it pings a sharp pulse through the speaker. A few seconds later this system reported 80ms response time in the higher problem area end of the spectrum. Turned off wireless and forced Wired networking – Not sure how this would hel but did it anyway. I ran the Calibration again and got exactly the same result: 80ms latency. The biggest issue for most users when you are dealing with this sort of delay is that everybody singing would miss the first micro second of each new line of a song; this put a lot of people off as it was clear they were hitting every note rather nicely – well as nice as can be expected when a few drinks are involved. Not to be outdone, i started going through the PS4’s settings when I also noticed the receivers DTS-HD Master Audio LED was lit up – Bingo! Though not a documented problem on the SingStar homepage, being an AV fan I would put money on the latency delay being caused by the PlayStation outputting a different lossless format than the original source. 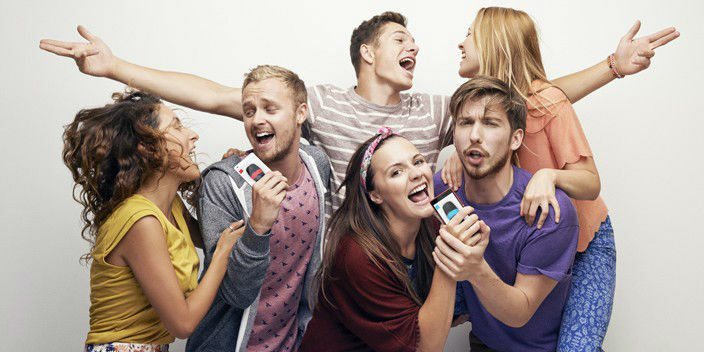 DTS MA, Dolby True HD and Linear PCM theoretically should all produce the same output – but if you consider SingStar tracks are stereo selecting DTS MA or Dolby True HD would require the PS4 to re-encode to your selected format on the fly – this would result in added latency depending on the format selected. To test this theory I set the PS4 to output audio to only Linear PCM and ran the SingStar latency test – We now have latency at 30ms which is a massive improvement. Set your PS4’s audio output via HDMI to Linear PCM. Set the TV to use Game mode if available and/or disable any enhanced filters. Set the AVR to use direct mode with no pro-processing. The biggest bit of information I got from this test is the fact DTS MA or Dolby True HD add an additional 50ms of latency during gameplay.